Our wet stator motors are used to drive our own glandless boiler circulating pumps where the motor winding is subjected to pressures of 324bar (4700 psi). 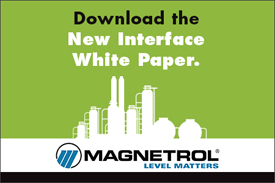 Reliable interface level measurement keeps production flowing. If liquids are not separated effectively, you face processing problems, equipment failures, production loss, fines and shutdown. That's why Magnetrol® matters. Our technologies are proven to accurately measure total level and interface layers. Because when it comes to interface, level matters. Learn more. Ross equipment is the first choice for mixers, blenders, dryers and dispersion equipment. The company has a world-class reputation for innovative engineering, superb construction and fast delivery. Ross equipment is manufactured on five continents. In the USA alone, we operate five plants and a vigorous R & D program. Seeq® enables process manufacturing organizations to rapidly investigate and share insights from data in historians, IIoT platforms, and database web services as well as contextual data in manufacturing and business systems.